Could this be the way Huawei breaks into the U.S. market? Today’s smartphones are nothing without a fast Wi-Fi connection, so Huawei is taking things into its own hands. Joining the likes of Google and Samsung, who each have their own mesh Wi-Fi system, Huawei unveiled the Q2 hybrid 5G powerline hybrid home Wi-Fi system, so your new Mate 10 Pro can stream clearly from any room on your house. 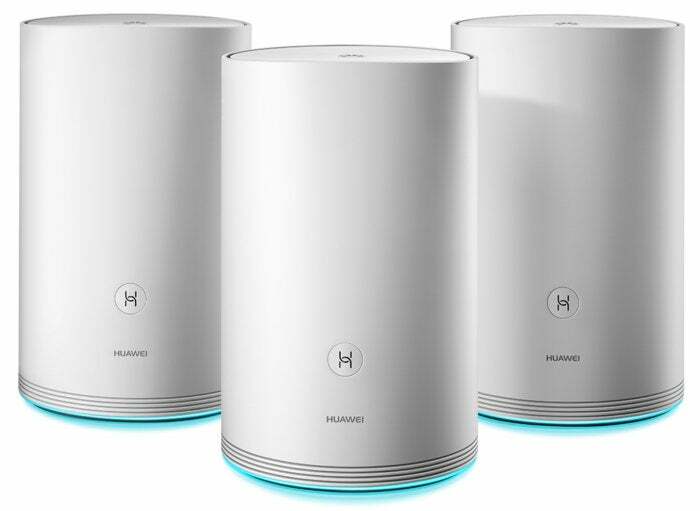 Speaking of speedy streaming, the WiFi Q2 “can provide a hybrid connection of up to 1867Mbps by bonding the speed of PLC and mesh Wi-Fi,” which Huawei says makes it the fastest Wi-Fi backhaul network in the world. However, most users will never see anything close to those speeds, as the fastest home broadband speeds max out at around 250Mbps. And most homes have Internet connections that are much slower than that, with average speeds hovering around 50Mbps in the U.S. The Q2 is also secure, with an “anti-brute force algorithm” to ward off hackers relentlessly trying to guess your password. The system comes in two versions, a 3-pack of hybrid bases for $350 and a base with two satellites for $220. Additional base stations and satellites will be sold separately when it launches later this year. Why this matters: Huawei’s troubles with entering the U.S. market are well documented, but as one of the world's largest networking companies, a mesh system could be a way for it to get some brand recognition. The pricing is competitive, and if it’s as easy to set to and fast as Huawei says, the Q2 could be a hit with U.S. buyers. Now if only Huawei could find away to bundle a Mate 10 Pro with every purchase.